We are celebrating a sweet little girl's 5th birthday today! I can't believe my little "Rose" is already five years old… How did that happen so fast?!? I'll be back later with pictures from our party, but in the meantime I wanted to share one of her birthday gifts with you all. 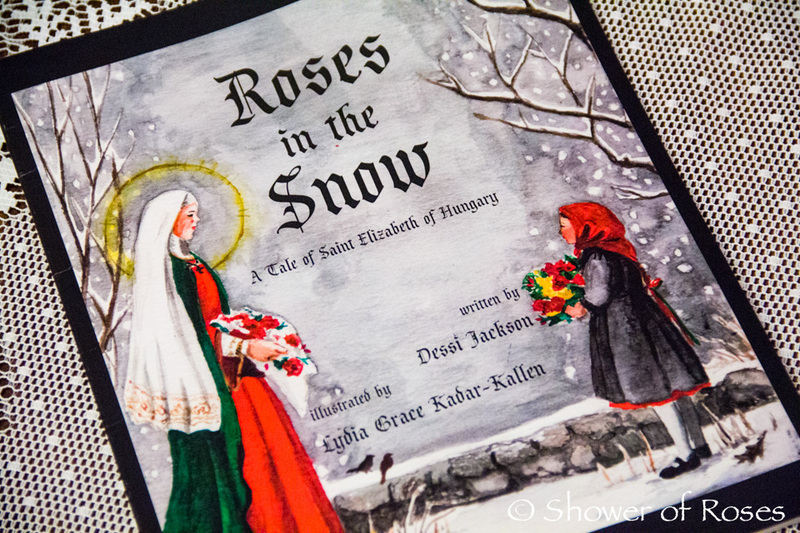 This sweet book about St. Elizabeth of Hungary was just released on December 6th and would make a lovely Christmas gift! 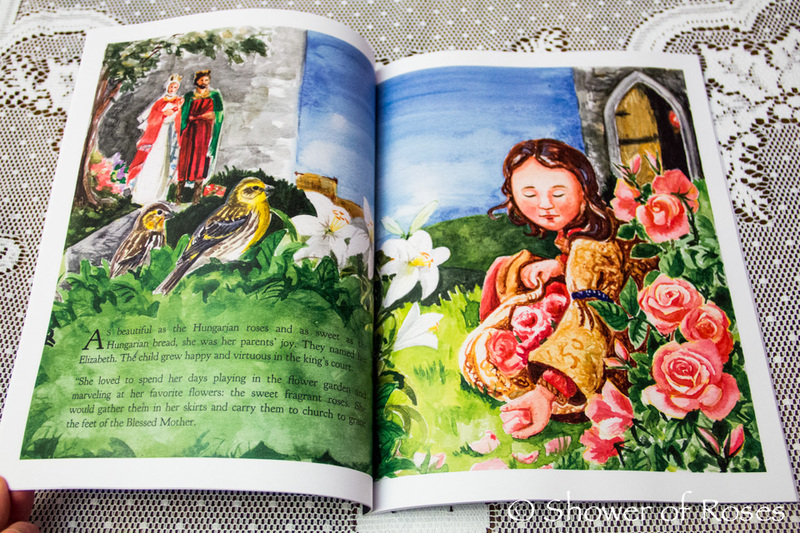 It was written by Dessi Jackson and Illustrated by Lydia Grace, the same author and illustrator of Saint Felix and the Spider, and it is beautiful! I can't wait to read it to my children! You can order it from Amazon here. 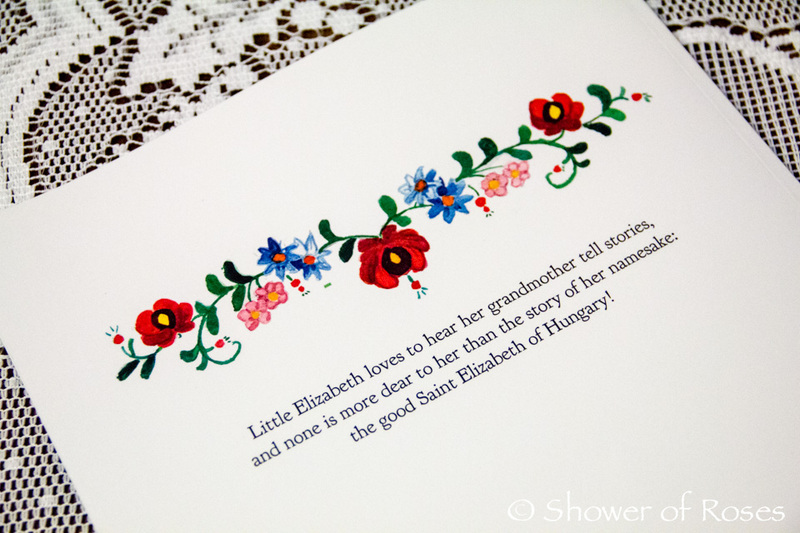 Update: The publisher has audio pronunciations for the Hungarian words in the story! Visit www.quisutdeuspress.com then click on "Roses In The Snow" On the bottom left hand side of the page you will find the pronunciations for nagymama, édesem, kifli and kalács!